After failing to give a competent answer when asked how many votes were left to count, Broward County Election Supervisor Brenda Snipes has found herself the focus of great controversy on both sides of the aisle. Under the state constitution, Scott possesses the ability to suspend an election supervisor for “incompetence” and the Florida Senate can remove her. This would not be the first time someone was removed from the office in Florida. Ironically, Snipes’ predecessor, Miriam Oliphant, was removed from office after the office mishandled the 2002 Democratic gubernatorial primary. Earlier this month, The Miami Herald referred to Broward County as the “most controversial elections department” in the southern portion of the state. Snipes is no stranger to controversy when it comes to seemingly fraudulent activity in elections. 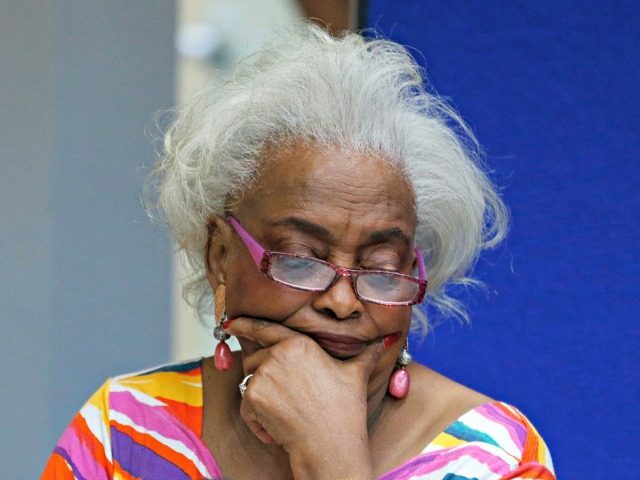 Earlier this year, Snipes received national attention after unlawfully destroying ballots. A judge ordered Snipes to change the way she handles vote-by-mail absentee ballots this year after absentee ballots were opened before they were canvassed. Snipes was also sued for leaving a medical marijuana question off of many absentee ballots earlier this year, and she sent some voters additional ballot pages. Broward County’s flawed ballot design could have led to thousands of undervotes in the controversy-prone county.